We all want good health and wellbeing and think that with healthy physical health and diseases free life is all about wellbeing which is a wrong conception. Wellbeing concept is not limited to only good physical health instead it covers a wide view of life and overall satisfaction from all corner. With some healthy lifestyle changes, you can ensure your well-being. Wellbeing is basically related to satisfaction and happiness from all aspects of life at a time. Means if someone is happy from his or her physical, mental, social, spiritual, environmental, occupational and emotional wellness at a time only then they can be said in a perfect wellbeing stage. It is the wellbeing or wellness of a person that enables them to actively overcome the mental, physical and emotional cramps of life and to achieve their target successfully as a fighter. Wellbeing is the satisfaction that someone feels from their life so it varies from one person to another as the same thing can be a matter of satisfaction for one person, on the other hand, it will not be a matter of happiness and satisfaction for another person. This can be clearly understood by going through the different aspects of wellbeing which influences it directly. In general, all aspects of life affect the happiness and satisfaction level in one’s life but as all human being are not same so for each individual the range of happiness irrespective of different aspects vary. A prosperity in one aspect can be a matter of wellbeing to one individual on the other hand for another person it doesn’t matter and changes in that section of life don’t influence the wellbeing. Some important wellbeing aspects are mentioned below. Good job and good working environment. Satisfactory or desired flow of income to live a luxurious life. Good food or balanced food as and when needed especially for those who are food conscious. Healthy physical health or diseases free life. Regular exercise to build up muscle and keeping the body fit. Good friends’ circle that stands by in all circumstances of life. Sound sleep or peaceful sleep for sufficient hours. The existence of the sense of belongingness. Aim full life or life with a reasonable purpose that gives the energy to live. The existence of safety or sense of safety irrespective of the living place, city and office place. The existence of adaption power to get adapted quickly irrespective of changes in different aspects of life. All the aspects of wellbeing mentioned above are interrelated or connected with each other. Also, each individual aspect affects or influences the other aspect. It is important to measure your wellbeing in order to make you aware that whether really you are happy and satisfied out of your life or just you are pretending to be well and happy. If someone will get to know of their wellbeing then they can surely take a vital step to improve the level of wellbeing and happiness to make life worth. The way of living of all individuals differs from one another as because it depends from person to person that how much they are satisfied from the life, whether they are living a purposeful life or not, whether they really know to enjoy their life or not. If you want to measure your wellbeing then consider the different aspect of life and give yourself point to make it precise that what section is fully satisfactory for you and what is lagging behind. 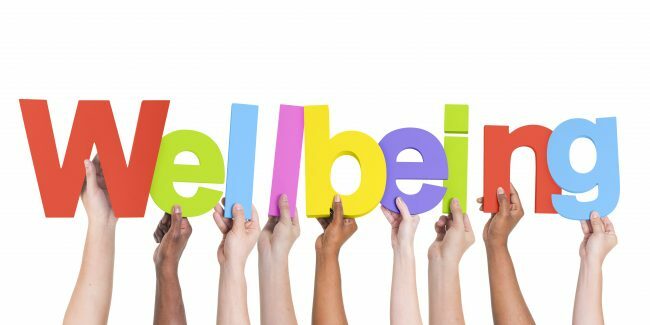 As per the Oxford English Dictionary wellbeing is defined as a state of happy, healthy and comfortable. So these are three primary decision makers while measuring your wellbeing. How much you are actually satisfied from life, how much comfortable you are in your day to day life including home and working place and how much fit you are (both physically and mentally), all together will measure your wellbeing. In order to make this calculation more easier and calculative let us consider 10 as the highest satisfaction level and 1 as the lowest point of satisfaction or happiness. Now go one by one. Among the different aspects of wellbeing, pick them one by one and give yourself rating (total value 10), that how much you are actually happy in a certain aspect of your life and how much dissatisfied you are from certain section or aspect. Give yourself a point in all the aspects mentioned in the list of above and then aggregate them to know your level of wellbeing as a whole. This table will help you to work in the section in which your rating is below average or below the satisfactory level. So by improving yourself in all the aspects where your rating is very low you can enhance your wellbeing and make your life more peaceful, prosperous and worthy. The wellbeing of a community or a definite circle of people can be calculated with the help of this measuring point where each individual will rate themselves on different aspects and at the end overall rating will show the position or state of wellbeing of that particular community as a whole. Likewise, the calculation of the wellbeing of a community, the wellbeing of a country as a whole can be calculated by running surveys across the country on the basis of fixed criteria. Also, people can be asked verbally about their feeling of happiness on different aspects of wellbeing and to rate themselves out of ten on the basis of how much they are really satisfied with life. 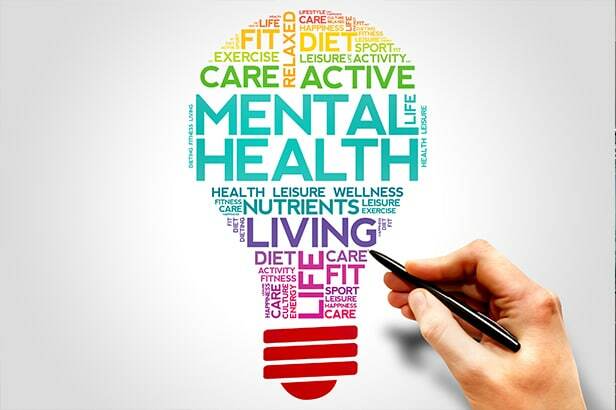 As per the different aspects of wellbeing concerned, we can say that the mental health is the most vital one out of the whole list of aspects influencing the wellbeing of an individual. So how mentally satisfied a person is indicating that his or her wellbeing. This is because a mental health of a person remains affected by physical, emotional, social, and environmental or in other terms, it is influenced by all the aspects. If a person is mentally fit, happy, satisfied then we can easily judge his wellbeing on the basis of his mental peace and prosperity. It happens in some days that we feel low, aimless, hopeless and cries without knowing the definite reason of our tears, hopelessness, and anxiety though there remains an underlying reason which we get to know later on. All these negative thoughts and feelings affect our well-being by making us feel low. 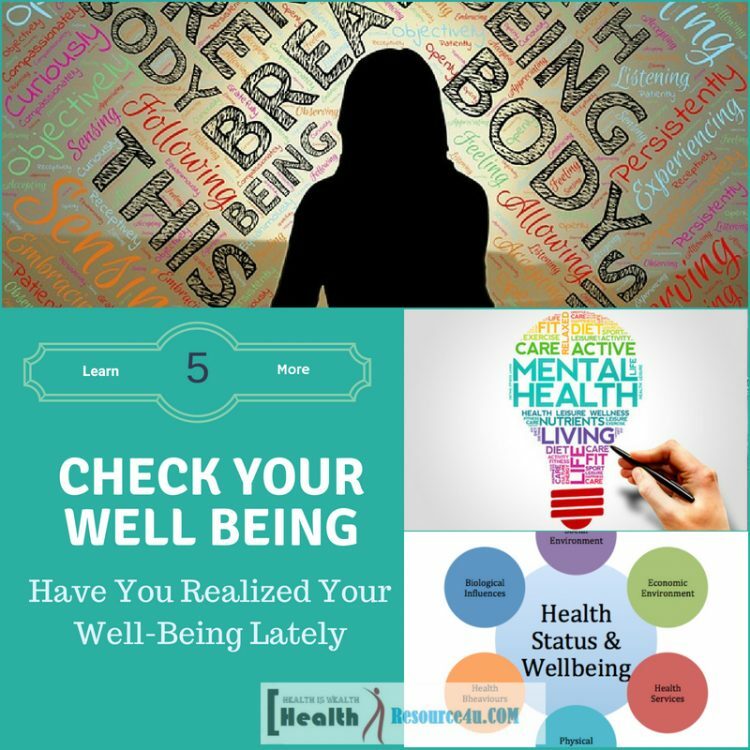 Below is enlisted some primary factors that affect your well-being. A proper amount of sleep is very important for each individual as because of the lack of necessary sleep especially in the night time hampers both physical and mental health which is related to the well-being of a person. Every adult person should sleep at least for seven hours at night without any break in between. Staying up to late at night for two to three days is ok, but the problem arises when it becomes consistent. Especially when people get habituated to stay wake up till late at night, even when they wish to sleep early their body and mind doesn’t support it and they are bound to stay awake till late night. 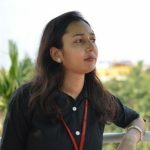 So if you want your wellbeing by ensuring good mental and physical health as well as peaceful mind then you should have seven hours sound sleep otherwise consequences can be as bitter that in the lack of sleep a person can be a victim of stress, depression, stroke and heart attack. Mental peace is an important aspect of well-being but this mental feeling exists no more when you are suffering from stress consistently. A human mind is bound to take stress when things in their life don’t go as per their desire but the overthinking behavior is not at all good for health and causes mental restlessness or stress. Stress affects to both your physical as well as mental health, on the part of physical health it causes a headache and body ache on the other hand its reverse mental effect leads a person to anxiety, anger, hopelessness, and sadness. So to ensure your well-being you should first make yourself aware about the real causes and sources of stress in your life. Find out the sources affecting your happiness and matter of tension for you like whether it is coming from the workplace or from children’s education or from relationship issues etc. Once you are aware of your stress source, the second thing that you should do is to start working on it to cope up with the situation in order to bring it under control. 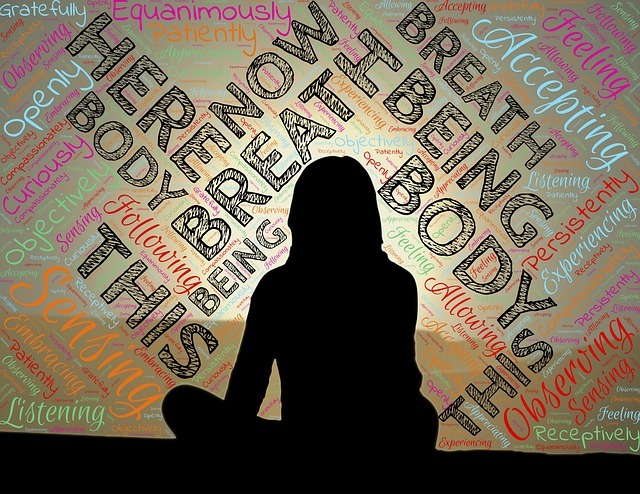 You can take the help of workouts, meditation, yoga sessions which are an effective natural way to get rid of stress. Many of you might not be aware that how important role your everyday diet plays in affecting or boosting your well-being or feeling of happiness. An unbalanced diet or consumption of foods which are nutrient less not only affect your physical health but by mentally also it makes you weaker and unconfident hence you don’t get the courage to stand against even in small negative circumstances in life. You can improve your well-being by having a well-balanced diet in your day to day life without missing it. Include foods which are nutrient dense and healthy for your overall health and stay far away from fast foods, highly processed foods or junk foods as they affect to both mental and physical health in many ways. Once you get to know that your well-being score is very low or below the satisfactory level, it should be your primary duty to work on improving your wellbeing score either up to or above the satisfactory level in order to make your life worth full. While calculating your well-being you can take the help of the Warwick-Edinburgh Mental Wellbeing Scale or WEMWBS which is the most popular way of calculating psychological wellbeing in the UK. This scale will ask different questions from you and on the basis of that, it will give a score to you. Some general question which is asked under WEMWBS for measuring individual well-being is how much you feel useful? How much optimistic are you regarding your future? How much energy do you feel in your day to day life? etc. The point you will give yourself on these different questions will calculate your wellbeing level. There are people who always complain that they don’t feel hopeful for their life, they don’t feel happy even in positive situations in life. This particularly happens because their mind is not well trained to be happy or don’t know how to be happy. By giving proper training to your mind you can learn how to be happy in any situation. Our mind has lots of capability and it understands your signal. When the same thing will be repeated again and again it will automatically be master in it and then you will feel peace, satisfaction and determined even in the worst situation of your life. The benefits of wellbeing are enormous as it completely changes the way of living life of a particular person whose well-being level is very high. A person with a good score of well-being remains active for their daily life works and responsibilities and doesn’t get exhausted either physically and mentally. Also, their physical health remains improved and in very good condition as they feel energetic to fight with even a critical health situation with the power of positivity, happiness, and devotion. A person’s wellbeing enables him or her to cope-up with all the challenges of their life with determination and without any fear of failure or loss. This happens because when a person is happy and satisfied with the life then he thinks positive and stands with determination even in the most critical situation in life. Wellbeing also affects the person’s productivity level. A man living prosperous and peaceful life becomes more productive and performs his work with a dual energy level to accomplish the end result fast and with the successful end result. There are several things that you can do to improve your well-being score. So do the mentally engaging works that bring a feeling of peace, calm and happiness in you. Also don’t disconnect yourself from the world around you as if someone says that cutting himself from the outer world keep him happy and in well-being state then most probably he is in myth because real well-being exists when you are actively involved in social, environmental and other outer world aspects. Another way to improve your well-being score is to give your life a definite purpose. A man with aimless life or without any purpose claims that he is living in well-being than no doubt he is only well externally not from the internal side as because peace and happiness come when you live with a purpose which is a source of hope and fuel to perform our responsibilities and handling all situations positively. Now you must have understood your actual condition with respect to your wellness or well-being. So if you think that you have realized your well-being lately then my dear friend still it is not so late. Start doing positive things that can ensure your well-being healthy way and make your life more worth full.